I’m always overwhelmed by the sheer volume of oils I think I need to take with me when I travel. Honestly, do I really need a dozen bottles of oil? Truthfully, probably not, so long as I take the big 4 (Tea Tree, Lavender, Lemon, and Peppermint). But let’s face it, I like to be prepared. What if I’m camping and I want sun protection of carrot seed oil and bug protection of citronella? What if I get a headache and need peppermint and lavender? What if I don’t have access to coffee and I need to jumpstart my energy with some grapefruit, bergamot, and lemon? What if I happen to be on my menstrual cycle and I need to balance hormones of PMS with Clary sage and Myrtle? What if I’m breastfeeding and my supply dips and I need some fennel oil? What if I have an asthma attack and need eucalyptus and peppermint?? Or– what if someone else I’m with has those issues? Fear not. I’ve created a solution. So, I’ve been working on this! 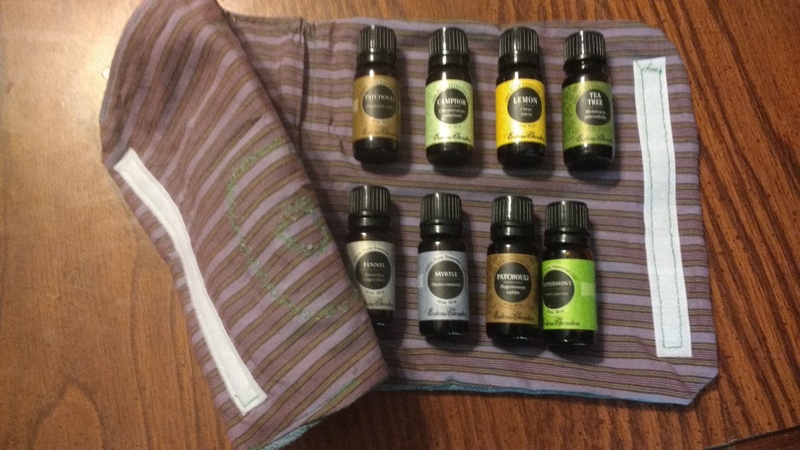 An Essential Oil traveling pouch! 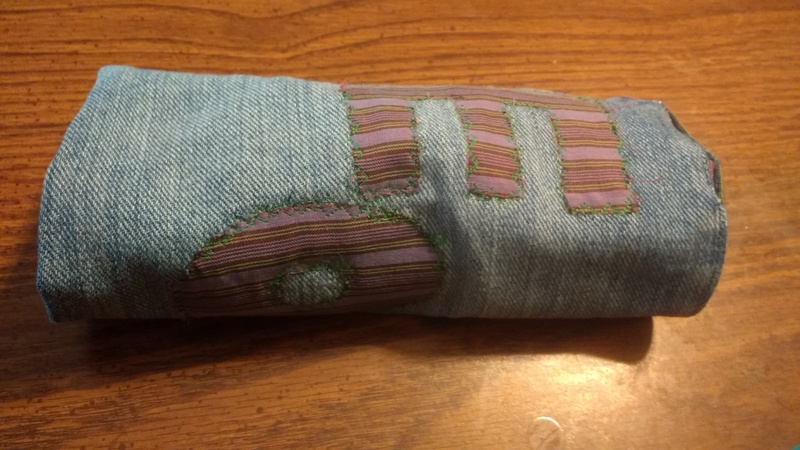 It isn’t totally finished yet, but when my shipment of elastic arrives, it will feature elastic bands with space for 8 10ml glass bottles of essential oils, a Velcro closure, and optional monograms on front. 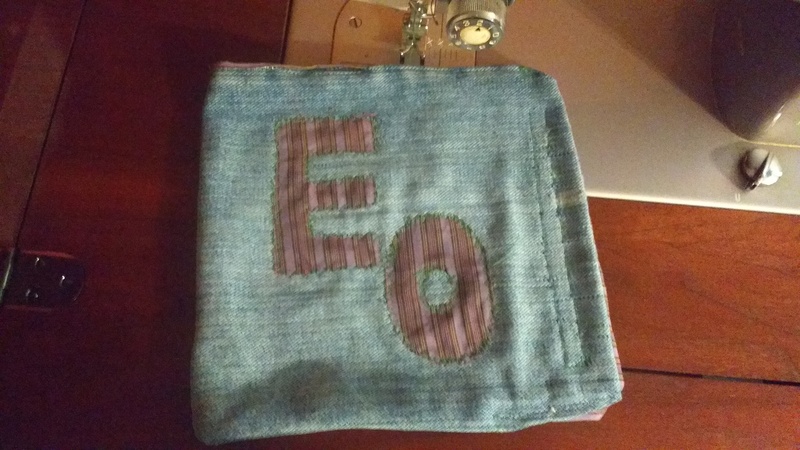 I monogramed this one “EO” …for Essential Oils. Obviously. The idea behind the pouch is that the oils are ideally spaced and supported in place with elastic, and fit securely through loops. The pouch acts as protective, yet flexible storage for EO’s while you’re on the go, and lays flat in a suitcase or toiletry carry on. Because of it’s flexibility, it can also be rolled to fit into a smaller handbag or purse! I will update when the items are listed for sale, but I thought I’d let you know what’s in the works. The 8 oil capacity pouches will start at $10. Custom front monogramming or design will be free of charge up to 2 letters/numbers/shapes. Thanks for your interest! And I’ll let you know when my items hit the virtual shelf!